A very Happy New Year to you, Hellen, and to all posters on this terrific blog! Thank you H. E. and I wish wonderful new year to you and to all memebers of this blog! Happy New Year! Love this blog! Happy New Year to Hellen and everybody else here! Thank you for your hard work on this very entertaining blog. 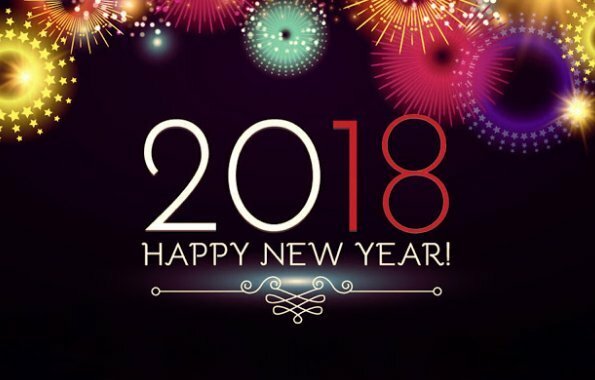 Best wishes for 2018! Thank you for all your hard work Hellen Electra! A very happy new year tto you and all my fellow readers of this blog. It is a happy, entertaining, enlightening space to visit every day, and I look forward to another year of fun together. Happy new year to everybody, and may we see lots of good news here! Happy new year Hellen, and the same to all virtual friends!! Gutes erfolgreiches und gesundes Neue Jahr!!! Thank you and Happy New Year Hellen ! Thank you for all your hard work on your great blog, Hellen! Happy New Year! Hi, folks!! !Thanks a lot for your amasing comments, I like you all!! !Have a great and happy new year...and go on!!!! Happy New Year for you too! I like your blog mostly! Feliz Ano Novo from Brazil! Hellen, thank you for this blog and a happy new year to everybody!